D'Amours lab show that microtubules are both brawn and brain. Microtubules are both Brawn and Brain! DNA replication stress is detected in S phase by a dedicated checkpoint machinery that ensures cells do not enter mitosis with damaged chromosomes. 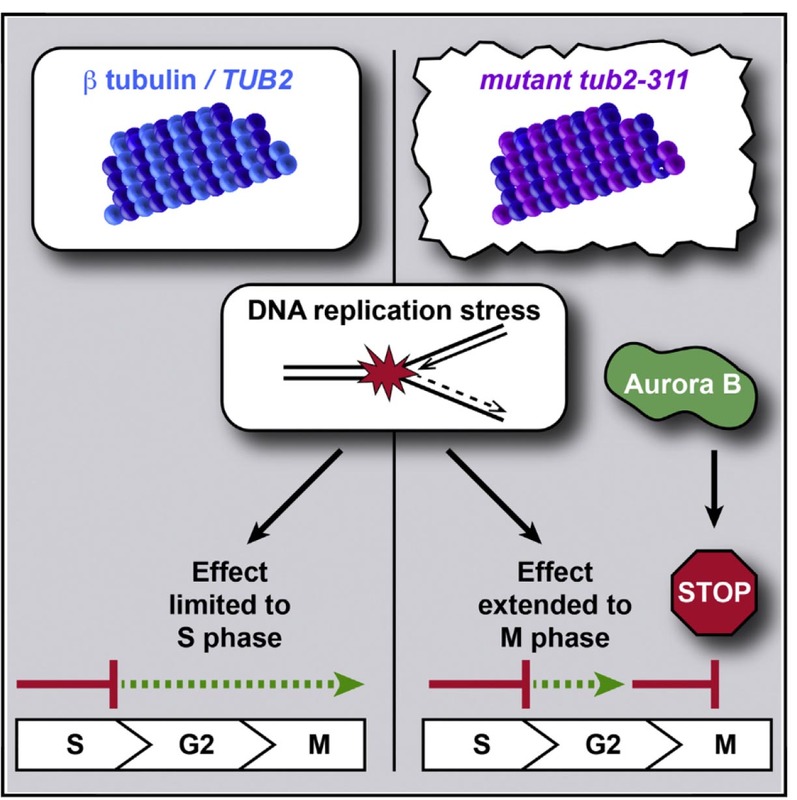 The D'Amours lab found that microtubules limit the effects of replication stress to S phase by modulating the levels of tension at sister kinetochores of replciated chromatids.